This past week I re-read The Search for the Delicious along with some of my friends for my in-town book club. I read this story last year for the first time and last time I read it I mentioned that I couldn't find a message in it. At that time it read off as a story for story sake, without any underlying desire to communicate anything of note to the reader. I think I must retract that statement. I now believe there is an underlying theme and it matches the theme of my week here on the blog - the importance of fairy tales. In The Search for The Delicious we have an argument brewing in the kingdom over what the definition of "delicious" should be. A young lad named Gaylen is sent out as a poll taker to gather the vote of the people. As he travels along taking this poll, we meet certain people in the first village who tells us us the story of dwarfs in the mountains, a mermaid in a hidden lake, and a woldweller who lives in the trees. The adult characters who make Gaylen aware of these mythological creatures are quick to tell him the stories, and just as quick to discourage his disbelief in them. The children who want to believe these tales are told not to and punished if they maintain that they do. As Gaylen travels about the kingdom polling the people, he finds himself able to meet the woldweller, the dwarfs, the wind and, lastly, the mermaid. In the end, it is only Gaylen - and the king's arch nemesis, Hemlock - who maintain a belief in these creatures from story. Their individual beliefs in these stories cause them both to act and react to circumstances in opposing ways. Their path through the kingdom and the story is clear to them individually. The other subjects in the kingdom who do not believe in these stories of old are surrounded by chaos and the truth is far from them. Belief in stories both threatens the day and then saves it. I believe that is true for you and I as well and should drive us to fairy tales and not away from them. Reading fairy tales to children feels threatening to some. 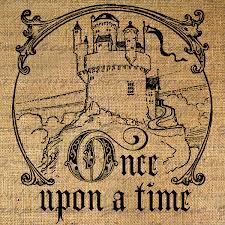 There is a belief out there that to read a fairy tale to a girl, in particular, sets her up for disappointment. To read a fairy tale to a girl risks her being disenchanted with the reality that is her world, or so they say. They say that is no such thing as Prince Charming and you should not promote a belief in a such a person. They say fairy tales are not reality. Mostly, I hear this argument coming from mothers of little girls who do not want to jump aboard the Disney bandwagon and so instead they choose to jump to opposite extremes, forgetting that Walt Disney didn't write the stories in the first place. The stories existed before Walt ever did. The stories did, however, set his imagination on fire and the same can happen to our children should we dare to pass along fables and legends of the past. Is this a situation to be feared? I say no. I think it is imperative that we keep our fables and legends alive. Why? Because they speak of truth and point us to it. By that I mean, each fairy tale contains characters to admire and who we could emulate. There is a clear villain who will be defeated in the end. As a Christian, I believe this is not different to what the Bible teaches about faith in Jesus Christ. There is a villain in this world but we need not fear him. He is already defeated. He is defeated every day and every moment. The battle against Satan has been won. The Lion of Judah has triumphed! Because of this it is possible to face giants and slay them. It is possible to combat evil and destroy it. It is possible to search for beauty in the world and find it. There is the very real expectation of a true happily ever after. Fairy tales tell us the story of us every day. They teach us to pursue truth and know it, to do justly and to love mercy. Fairy tales teach us about honor and sacrifice. They teach us that life is hard and that we will face many challenges. They teach us to expect hardship because there will be dragons and evil sorceresses. But they also tell us that there is a way through the hardship and a way to defeat the enemy. They inspire us to greatness. Finding things to be inspired by should not threaten us as a society or make us fearful. We should be glad to instill love of story, adventure and victory into our children's hearts and minds. By and through story they will want to grow up and achieve great things. Since they were created to do great things, I think fairy tales should be readily accepted as a means to teach our children who they are and what they can be. My children do not live in a castle. That is not their reality and likely never will be. However, reading them stories of men and women who faced gigantic odds and fierce battles encourages my children to think that they too can be victorious in their own battles, big or small, castle or no. Such stories infuse them with hope. And hope is something that I trust they will always hold onto. It is everything. Without hope, we perish as individuals and as a society as a whole. 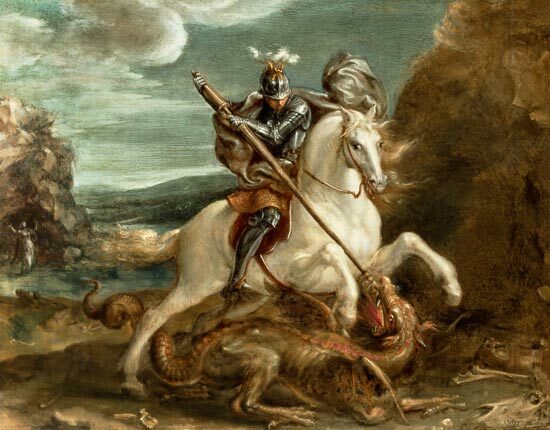 We need fairy tales to teach us more about our realities so that we can find the courage we need to rise up and slay our own dragons, whatever they may be. We need heros and noble minded people who pursue truth and defend it. Stories have power over our imagination as well as our very souls and that is one reason why it is so very important that we choose our stories wisely and believe correctly. For myself and for my family, I choose fairy tales for the beauty and the truth which they offer, how they bring our hearts to life, and for the hope that they give that there is a future and it is bright. Wonderful post, Carrie! How inspiring.